This documentary series answers questions that girls around the world have asked about video games, the development process, and design. Girls Level Up is looking to solve a large problem among girls who want to be game developers: mentorship and resources that they can relate to. Although Girls Level Up isn't one-on-one mentorship, the documentary vignettes offer a broad range of advice for girls looking to break into the game industry. They don't focus on "what's it like to be a woman in the game industry" as so many well-meaning initiatives have had a tendency to do in the past. Caryl Shaw, head of development at Double Fine (the studio behind games like Costume Quest, Broken Age, Grim Fandango, and Psychonauts), talks about programming languages. Jing Li, designer on Concrete Genie, gives advice about game mechanics. Lisette Titre-Montgomery, also with Double Fine, lays out what the deal is with tile maps. Siobhan Reddy, co-founder and studio director with Media Molecule (LittleBigPlanet, dreams, Tearaway), talks about the secret sauce of original ideas. Kelly Santiago (Journey) shares her experiences with music and sound design in games. Leah Hoyer, VP of Creative at Telltale Games (Minecraft: Story Mode), gives her perspective on story versus plot in games. And finally, Emilia Schatz, lead designer at Naughty Dog (Uncharted, The Last of Us), talks about level design. 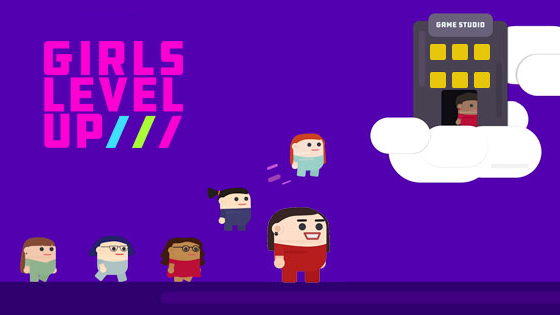 Girls Level Up is a project created by Artifact Studios working in conjunction with Facebook's Women in Gaming Initiative. "Artifact has more documentary content planned, addressing more topics about game design, showcasing more women developers behind popular video games, and exploring the lives of teen girls who are making games," the press release stated. "Artifact will also continue to expand its international reach to educators who are teaching coding and game design with the goal of eventually facilitating the exchange of ideas and resources among girls and teachers from different parts of the world." Amanda Farough has been writing about the game industry, business, and culture for almost a decade. When no one’s looking, she will ramble endlessly about old school RPGs until someone reminds her that no one is remaking Icewind Dale. Amanda's a mom to four kids — two girls (14 and 6) and two boys (10 and 7) — and absolutely adores sharing her passion for gaming with all of them.